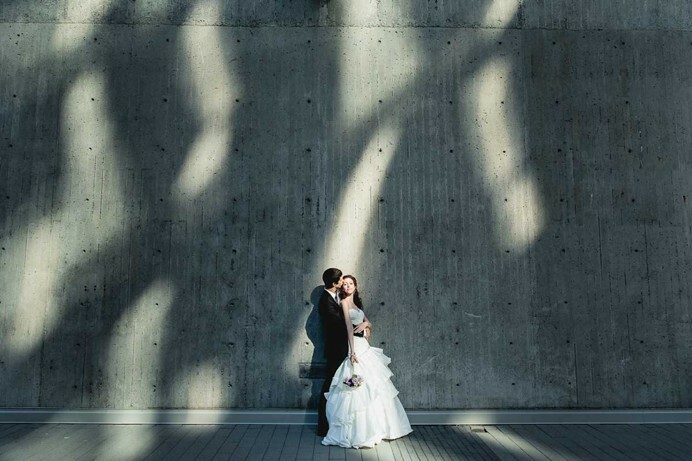 A little sneak peek at Miranda + Joey‘s Renaissance Vancouver Harbourside Hotel Wedding in summer 2014. This photo was taken on the way to the hotel from their wedding ceremony in South Surrey. We visited a number of places along the way to downtown Vancouver, but this was one of the more unique places we found, and the light was perfect for this creative wedding photo. More photos from this beautiful Italian wedding to come in the future blog post. To learn more about hosting your wedding at Marriott’s Renaissance Vancouver Harbourside Hotel, visit their special events and wedding website for details. Spectacular image! For sure, more of this photo are professionally captured. Nice work!